River Island has provided stylish, affordable clothing and homewares for over six decades. This is one of the most popular retailers on the High Street, and it also has locations sprinkled around the rest of the country..
We know that you don’t always have the luxury of running to the retailer to grab your items, and if you need something in a hurry, standard River Island delivery may not come quickly enough. Standard delivery takes three-four days, and that’s too long to wait for an outfit you need tonight or a new guestroom bedspread for incoming company. Fortunately, you don’t need to get in the car or place a regular delivery order to get all your favourite items from River Island. Pinga lets you order items from the comfort of your home and then delivers them to you in a matter of minutes. This is the perfect option when you’re in a time crunch and need something from your favorite retailer. What if you only want a single item? There aren’t any minimum orders in place, so you can buy only what you want and nothing more. That means you can use the app to order that cute throw pillow for your sofa or a pair of flip flops for your beach vacation without any worries. Pinga delivers any items from River Island today. 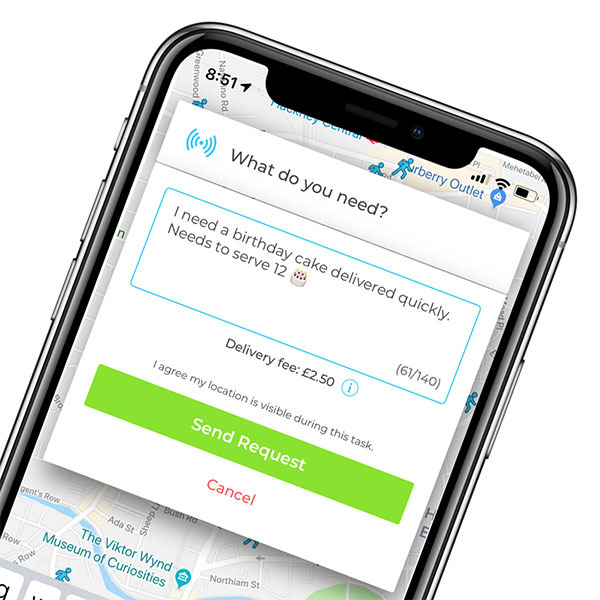 Infact our service normally delivers within an hour, so if you’re looking for same day delivers from River Island, send your request via the Pinga App. Describe what items you needs to be delivered from River Island and send your request. Pay securely within the app and receive your River Island items to your door!